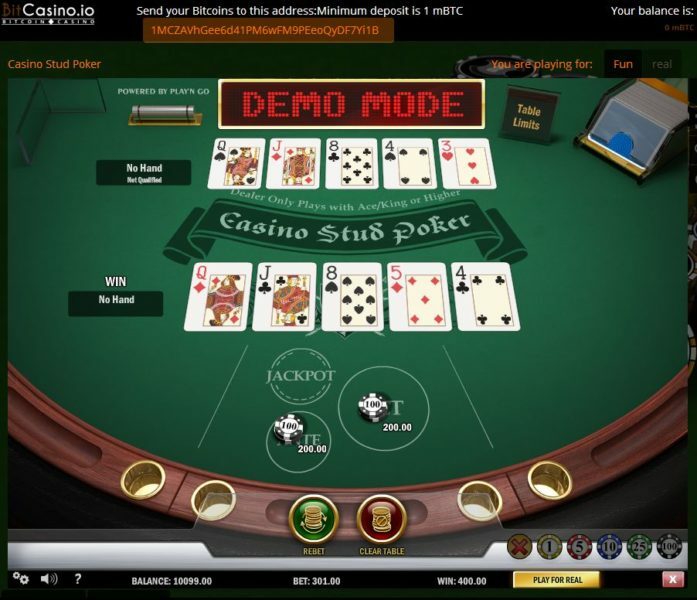 Yes, there might be some people out there that would love to play at a website like Bitcoincasino.io due to its simplicity. But if you ask me, I would rather go play at a fancy website since I want to feel like I am playing inside a real casino. The website design isn’t something that you would like just by looking at it and it becomes something unimportant as soon as you start playing. Here are the games that I looked into for you. You can start the game by choosing your Ante from 1,5,25 or 100. 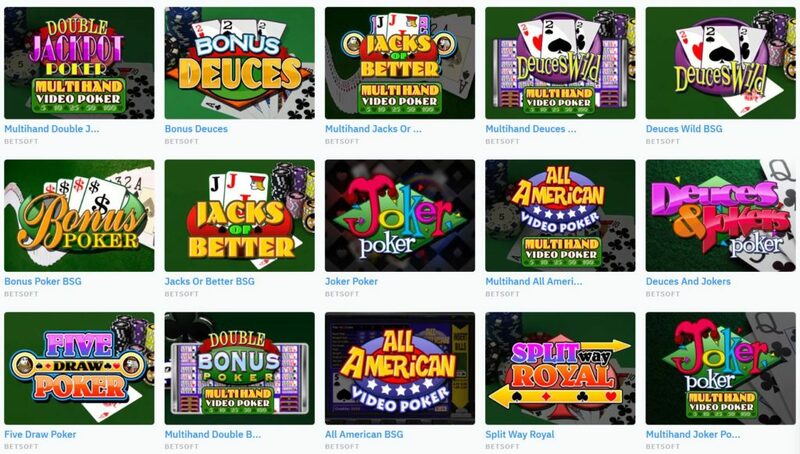 Once you decided how much you want to play with just simply click on DEAL and the dealer will deal you the cards. At this point, you are able to choose from FOLD or CALL. If you FOLD, you will, of course, lose your original Ante that you placed earlier on the table. If you click on CALL, you will add 200 chips (if your original ante is 100) on the table or x2 your original Ante. What’s funny about this table that it says that the minimum bet is $1 and the maximum is $100. But that’s not true! You can, however, lower your primary Ante from $3 to $1 by pressing “PASS” as soon as the dealer checks your hand. With the $100 limit, this is not true as you are only able to bet $99 due to the design of the table. You would know what I mean if you click on this link. 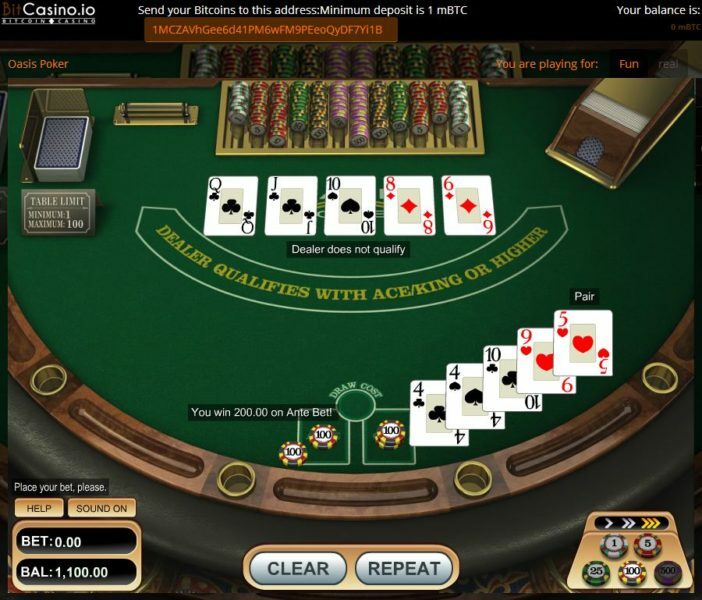 Please be advised that this table accepts multiple hands, which means that you are able to increase your bet per hand. The maximum I got for playing 3 hands and $99 per hand was $297as seen on the screenshot above. 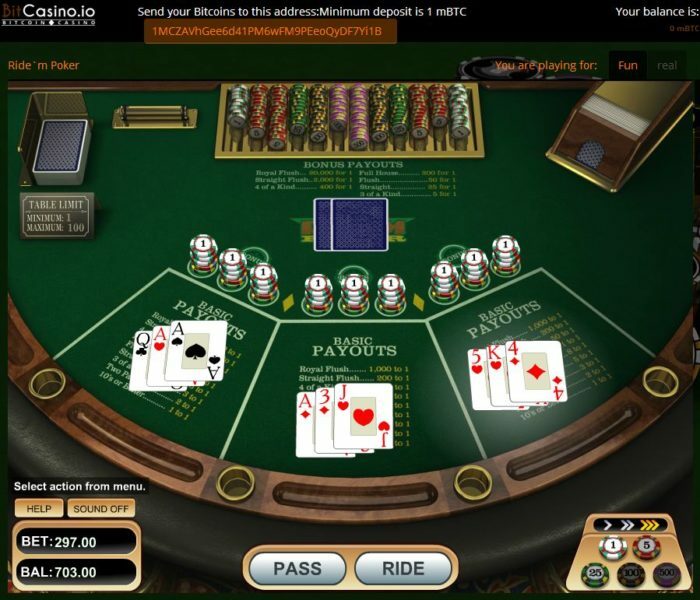 You play the game like a normal Ride’Em Poker game by clicking on PASS or RIDE. Pass means that you are going to take a part of your original Ante placed on the table, and Ride means that you keep everything as is. I like this table. The interface feels so smooth and is pretty to look at. So the table plays once you have decided how much you want for your original Ante. Just like the original Stud Poker, you will be dealt five cards and on the dealer side, you will be given the chance to see the first card. If you go for “PLAY” that means that you need to put up 2x your original Ante on the table. Of course, if you FOLD you are saying goodbye to your original Ante. Very High-Resolution table! You start the game by placing your bets on the table. After that, you just need to choose which two cards from your hand you would want to put as the high card set and the low card set. The high cards should consist of your two highest cards or same value. 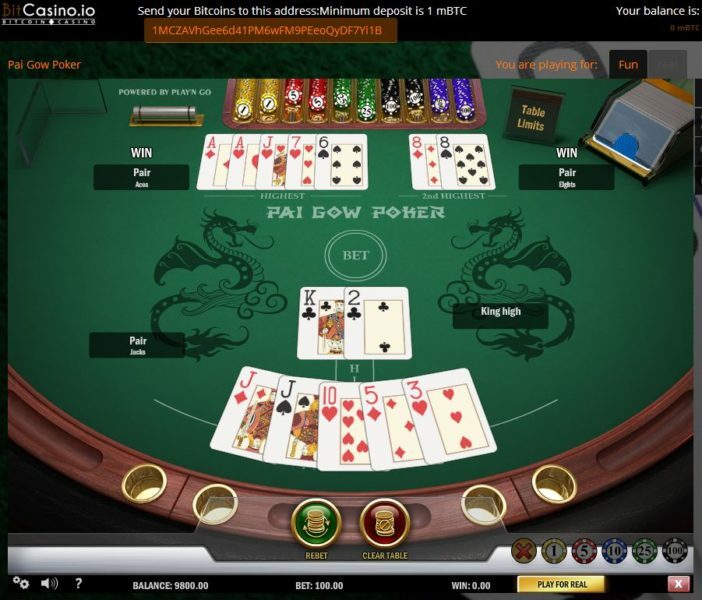 I always find it relaxing to play Pai Gow, I don’t know why, but I find it relaxing as I try to look for the best combination of high and low cards. There are games that do not load that fast and some do not even load at all. This is one of the flaws that I found with this website. Other than that, they have some good looking tables. Not to mention, you are able to play free trial games to test the tables out.